Leading liquor retailers in Australia say they've seen sales of rosés leap more than twenty per cent over the past year, in the US the figure is nearly double that at forty-one per cent for the year, while UK rosé sales doubled last summer over those of 2016… and in France last year makers in Provence alone sold a staggering 176,000,000 bottles of the wine on local and international markets. 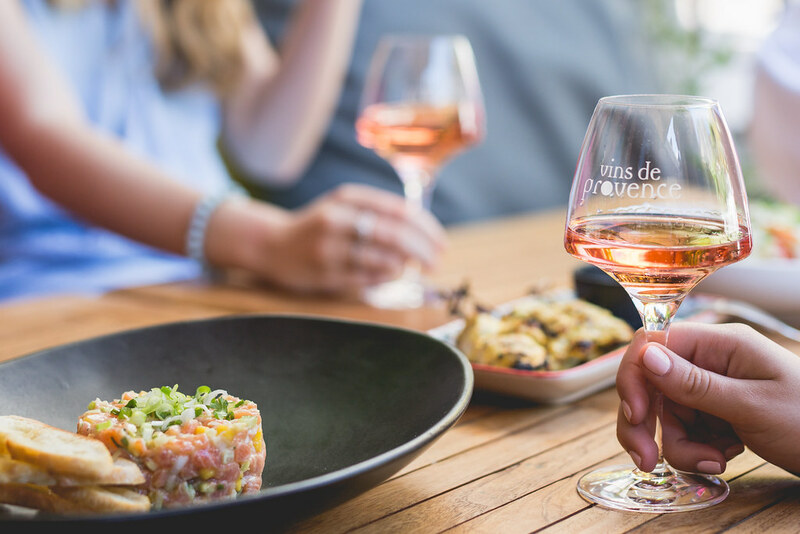 And so popular is the pink drink becoming in Australia, especially offered chilled for outdoors partying and dining enjoyment in our warmer Spring and Summer months, that some experts are predicting rosé will actually outsell white wines in this country within the next ten years. Proving ideal on hot summer's days for being crisp, cool, tart (and even sometimes fruity,) rosé is a wine that can be enjoyed on its own as a refresher, or as "Frosé" – a concoction that's grabbed attention world-wide, and is made by freezing rosé with lemon juice and sugar, creating as some say, a kind of grown-ups' Slush Puppie. And the most interesting thing in all of this, is that makers and sellers alike say that it is men who are now leading the charge in rosé sales, happily ordering it by the glass at the bar, by the carafe to share as a group, and particularly in America, in magnum size bottles in restaurants and hotels. As a food companion, rosé is ideal with everything from antipasto to party finger foods, pate, salami, calamari, and for something more substantial, a prawn curry. 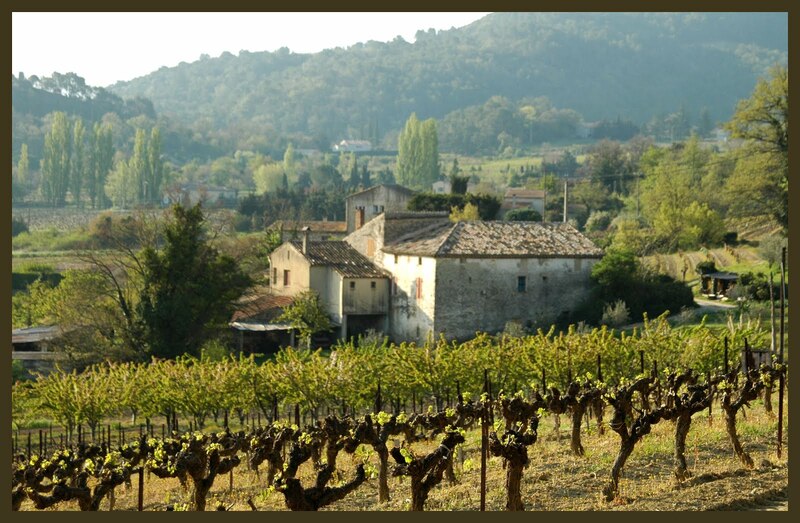 IN FRANCE last year makers in Provence (pictured,) sold a mind-blowing 176,000,000 bottles of rosé on local and international markets. “You know, some days a bit of luck comes your way – that’s why this one’s called Wildcard” said distiller Nathan Williams. Baker Williams Distillery will this week launch their brand new spirit ‘Wildcard’ a mix of both malt spirit and wine spirit. What started out a bit of an experiment combined with a healthy dose of serendipity has resulted in a unique spirit – malt undertones & brandy sweetness with lovely caramel and vanilla from the virgin Bourbon cask it’s been aging in. The spirits composition is quite unusual in that it blends two types of spirit – one normally destined for whiskey – malt spirit; and the other usually destined to be brandy. “We’d actually made a bit of a blunder in mixing the two different types of spirit – it sat around in a holding vessel for about twelve months at which point I was going to strip this batch to a neutral liqueur base but on a bit of a whim we thought we’d try running it like a whiskey. From the moment we’d finished the distillation, I was convinced it was going down into barrel” said Mr Williams. The craft distilling industry has embodied a sense of adventure and relative freedom that has allowed craft producers to take different directions with respect to product and the Mudgee based distillers are keen for this to continue. “Our industry isn’t shackled to pre-existing ideas, or rigid dogma -tradition remains important, but innovation and a desire to explore is evident – it’s a great time to be a distiller as well as a consumer. Importantly it’s not just innovation for innovations sake – we’re searching for new flavours, new processes, new ingredients that enrich and broaden the beverage market”. A genuine limited release - only 99 cask strength bottles (a whopping 63.5%) are available and 288 at 50% abv– each bottle signed and numbered by the distiller. 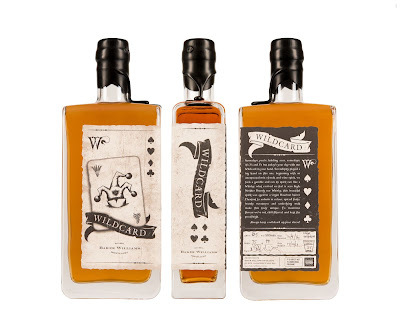 Product: Wildcard A unique mix of Barley, Wheat & Rye Malts + wine spirit aged in a Virgin Bourbon Barrel for 18months. (To our knowledge there is nothing else like this in the marketplace). All spirit drawn from a single barrel. Wildcard is Baker Williams Distillery’s very first aged release and will be followed in quarter 1 calendar 2018 with their first edition Whiskey. Flavour profile: Unique whiskey/brandy hybrid characters – sweetness from wheat & wine, with underlying malt and rich oak notes. Distilled by Baker Williams Distillery, Distiller Nathan Williams on their custom 400 litre pot still and aged on-site. Target audience: Whiskey; Brandy & Bourbon lovers. Wildcard is available at the Baker Williams Distillery Cellar Door at 194 Henry Lawson Drive, Mudgee NSW 2850; online at store.bakerwilliams.com.au and at select liquor stores and bars. One of NSW's leading organic wine producers, Canowindra's Pig in the House, has released two new wines in time for the summer break — Pig in the House 2017 Organic Rosé and Pig in the House 2017 Organic Chardonnay. Both wines retail for $25 at full margin. The growth in sales for Pig in the House correlated with the growth seen in the organic wine market over recent years, with figures revealing that the number of consumers who claimed to have purchased organic wine increased from 13per cent in 2012 to 20 per cent in 2016. 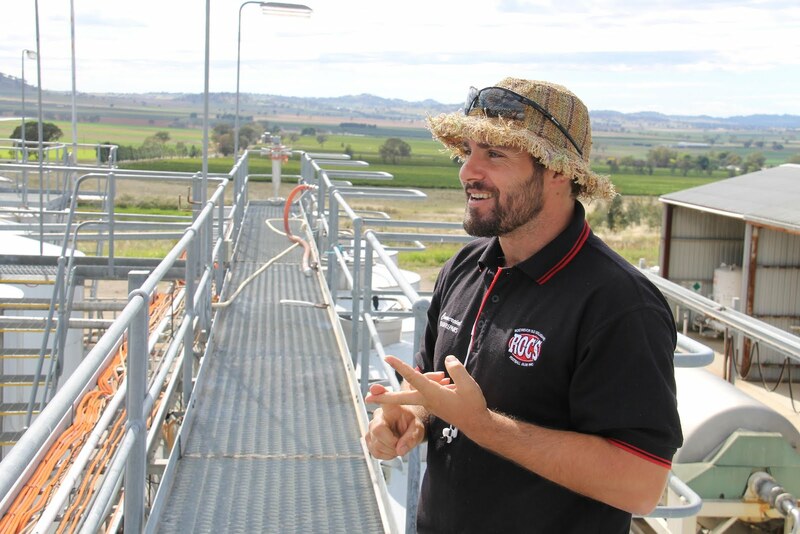 "We are also seeing this increase in consumption through our distribution channels," said winery owner and vigneron Jason O'Dea. "This growth, along with increasing demand for rosé made it an easy decision to make the new Pig in the House Organic Rosé." Pig in the House 2017 Organic Rosé ($25): Winemaker Anthony D'Onise chose mainly sangiovese, blended with just a touch of shiraz, to make this wine, which is resfreshingly crisp, enticingly flavoured an quite dry. "Stylistically speaking, we were aiming to capture the varietal characters," said D'Onise. Mission accomplished. Pig in the House 2017 Organic Chardonnay ($25): I like this modern style of chardonnay, with its just subtle of oak gained through 15 per cent barrel fermentation. D'Onise likes the "white peach purity" of chardonnay from the Cowra district. So do I. 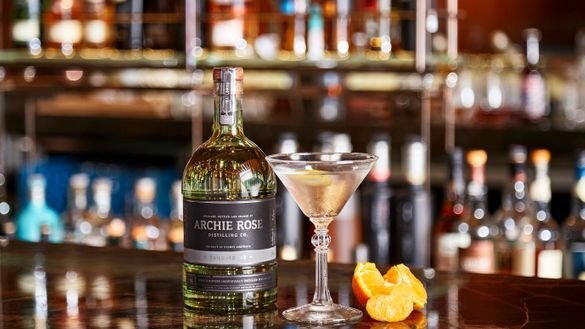 Award-winning teams at Grain Bar and Archie Rose have joined forces to create an exclusive small batch gin, which features a rare mandarin botanical that can only be enjoyed at The Rocks bar while stock lasts. Crafted at the distillery in Rosebery, Grain Archie Rose Gin is a unique combination of six botanicals, which were carefully selected and combined by Grain representatives and master distiller Dave Withers to come together as a perfectly balanced and intense distillation. This batch celebrates the floral and earthy notes of coriander seed, herbaceous and peppery tones of Dorrigo Pepperleaf organically sourced from the Northern Tablelands of New South Wales, spiciness from cassia and cardamom; and vibrant sweetness of mandarin – a rare botanical that can only be found in this tailored blend. “By respecting each botanical and the role they play when flavours marry together, as well as utilising Dave's wealth of experience and expertise, we've crafted a one-of-a-kind and deeply complex gin,” Grain bar manager Roderick said. To celebrate, Grain will be the home of gin this summer, hosting a series of five Summer of Gin events from 12 January until 2 March for newcomers and connoisseurs alike. The journey of flavour and discovery will commence with a launch party where the Grain Archie Rose Gin will be unveiled, followed by a collection of special activities including unexpected house-made infusions, Australian tasting plates, unique sensory experiences and a special gin cocktail menu for guests to enjoy the spirit as they have never experienced it. 1) For the lovers of gin | Summer of Gin launch party | The official unveiling of custom Grain Gin including a detailed talk on the gin making process by Lachie Beange, Archie Rose ambassador. January 12, from 4pm. 2) For the newbies | Australian gin tasting trio | Discover the unique flavour of Australian gin with our tasting plate of three of the finest gins from our backyard. January 19 – January 26. 3) For the dabblers | Tanqueray perfume making sessions | Elevate your favourite spirit with a Tanqueray perfume making session. A unique sensory experience, guests will have the chance to create their own take-home perfume using botanicals found in Tanqueray gin. Early February. 4) For the connoisseurs | The elite matching menu | Select from our special menu of carefully chosen gins with our boutique tonic and garnish recommendations and discover the most refined ways to enjoy the spirit. February 16 – 23. 5) For the truly adventurous | Gin infusion selection | Treat your palate to an explosion of flavours with our variety of house-made gin infusions. Up for something truly different? Ask your bartender for their serving suggestion (not for the faint hearted!). February 23 – March 2. 1) Summer of Gin Cocktail Menu – Five creative and classic cocktails specially crafted by our talented mixologists using some of our favourite gin varieties. 2) The Grain Signature Martini – The signature taste of summer showcasing the aromatic blend of carefully selected botanicals in our custom spirit, Grain Gin, and served with dry vermouth. Grain bar is located in Sydney's The Rocks at 199 George Street, within Four Seasons Hotel Sydney. For more information and group bookings, +61 2 9250 3118, hello@grainbar.com.au or www.grainbar.com.au. to simply keep its owner busy in semi-retirement. ONE TO NOTE: WHEN Nik and Deonne Samodol bought 32 hectares (around 80 acres) of a once-sprawling 810ha (2000 acre) grazing property on the slopes of Mount Canobolas at Orange in NSW's Central West, they planted eight hectares of vineyards with the intention of keeping Nik busy hand-tending in his semi-retirement. But with both site and climate being "just right" for a trio of grape varieties (Chardonnay, Pinot Noir and Nebbiolo) and the backing of consultant viticulturist, Tim Esson, the Samodol's found the Rowlee Vineyard fruit they were selling was being made by others into multi-award winning wines. And so Nik and Deonne and their daughter Nicole and Tim Esson and his family teamed-up in 2013 to create Rowlee Wines, and to make their own vinos with guidance and backing from "mentor winemaker," PJ Charteris. Their 2016 Rowlee Chardonnay is a stunner, with a vineyard load of stone fruit and citrus flavours and a creamy texture that makes it a perfect match with a summer's chicken salad, or veal chops barbecued and topped with creamy mushrooms. back in 1912 at the hands of a teetotaller. THERE'S many a colourful story around the founding and success of so many Australian wine companies, one such being McLaren Vale's acclaimed d'Arenberg Wines whose founder, a Mr Joseph Osborn was a teetotaller who sold a stable of prize-winning horses to buy the property in 1912 that now houses the d'Arenberg winery, cellar door and restaurant. And although a teetotaller he was also a director of wine company Thomas Hardy and Sons, so knew plenty about the industry and with son Frank bought several vineyards around their property. On his death in 1921 young Frank took control, initially selling their grapes to other wineries before building the family winery in 1927. When he too fell ill in the early 1940s his son Francis (generally known as d'Arry) left school at 16 years of age to help his father, taking full control on his father's death in 1957, and creating the d'Arenberg label after his mother's maiden name. D'Arry's son Chester joined-up in 1984, cementing d'Arenberg's place firmly on the Australian wine map, and now as Chief Winemaker creates some sixty wines annually from 25 grape varieties. One current outstanding drop is a 2017 "The Money Spider" Roussanne that has marvellous flavours spanning green mango, papaya and pickled ginger, and at $20 is great value to enjoy with shellfish, pork or veal dishes. ONE TO NOTE: FOR a long time one of the most famous blends in France's Bordeaux region was Cabernet Malbec, until growers there were devastated both emotionally and financially when frosts in 1956 wiped out a massive seventy-five per cent of their Malbec crops, and nervous about re-planting they shifted growing to Cahors in the country's south-west. Coincidentally around the same time the blend was being put together for the first time in South Australia's Clare Valley – where today many serious aficionados believe Cabernet Malbec has become the "Holy Grail" of the Valley's red wine production. And a master of the blend, Tim Adams Wines has just released their 2014 vintage, winemakers Tim Adams and Brett Schultz bringing together 70% Cabernet Sauvignon and 30% Malbec for this rewardingly lip-smacking drop. The Malbec component, they say, adds to the complexity of the Cabernet's mid-palate by giving it violet and mulberry flavours, and additional texture and richness that all makes for a full-bodied wine with generous chalky tannins. This one is priced at $25 and makes for a great match with braised lamb shanks, or a good meaty lasagne. IF you have a fondness for braised lamb shanks, here's a perfect match on the table.